bella’s mittens…for me | i made it so. finished these the other day. another pair of bella’s, this time for myself. alpaca wool blend. i like the cabling. there’s another snow storm moving in as i write this. stay cozy! 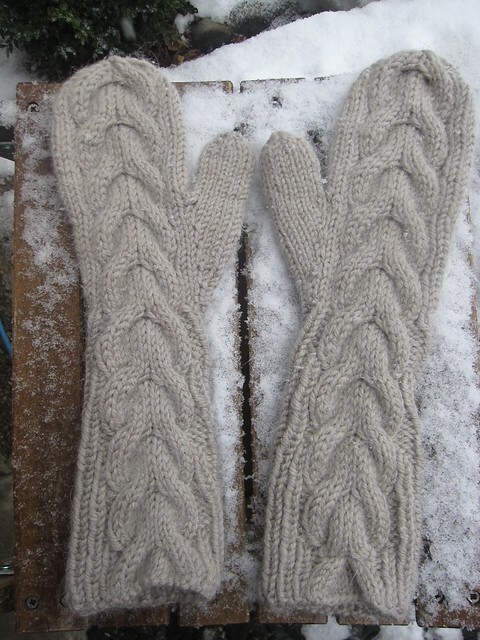 This entry was posted in yarn and tagged alpaca wool mittens, bella's mittens ravelry, cabled mittens knit, hand knit mittens. Bookmark the permalink. those are gorgeous! 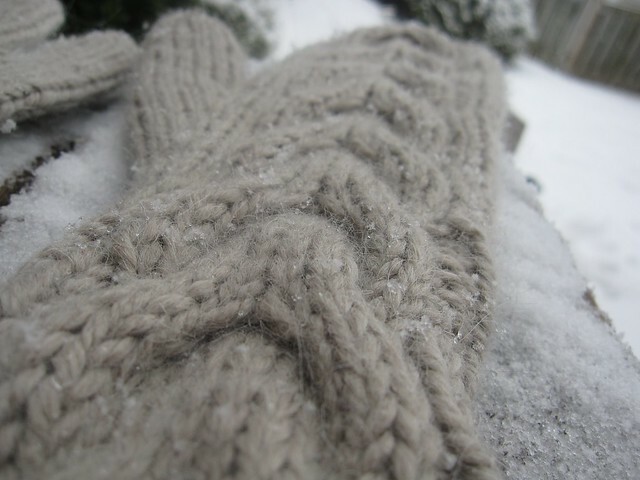 Did you see in my snow pictures that Jaina stole my scarf that you knit me? i did see that jess, she looks lovely! Very nice, and even too. ;) I bet they are warm! !